The ever-popular Freya Capris are back in a beautiful bright navy blue. 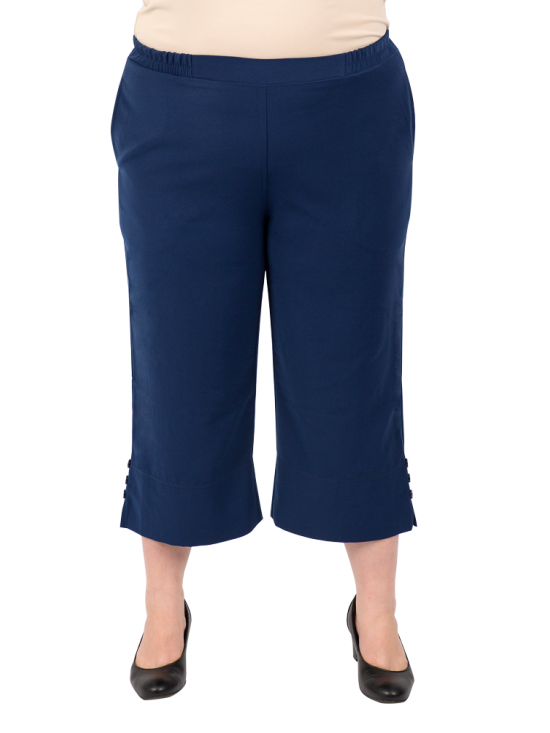 These smart 3/4 length plus size capris are comfortable and stylish to wear. With flat front elasticated waistband and 2 front pockets, they feature 3 buttons in the side seams, sitting above 5cm side splits in the hems. Very versatile, ideal to mix and match. A must for summer, team them with our gorgeous new season tops for any occasion. A must for summer. Length: 84cm (approx). Inside leg: 53cm (approx). Waistband: 3cm (approx).